Ztt Pvl - Pull Through Sleeving - Wire And Cable Bundling - Products - ZT | Zippertubing Co.
0.75" 1.0" 1.25" 1.375" 1.5" 1.75" 2.0"
Custom colors are available on a special order basis. ZTT® is a single seam, heat sealed, tubular, pull-thru jacket made from Zippertubing's flame-retardant PVL-10 material and has an operational temperature range of -40° to 82°C (-40° to 179.6°F). It is an inexpensive way to cover single cables, small bundles of wires, or flat ribbon cables. 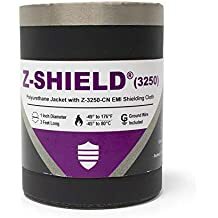 The ZTT® jacket provides a highly flexible, abrasion-resistant, neat, and secure encapsulation of whatever wire or cable application you may have. 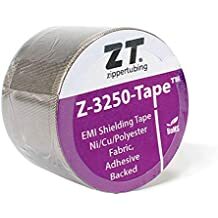 ZTT® is supplied with Zippertubing's special "blue-line" nylon cloth leader to assist the installer in pulling the wires through the jacket. No special tooling is required. ZTT® is supplied in reel form, black in color and, is easily cut to any length. Custom colors are available on a special order basis. Refer to Zippertubing's type PVL-10 data sheet below for specific material performance data. Cable Diameter 0.75" 1.0" 1.25" 1.375" 1.5" 1.75" 2.0"